Title: Morehouse Police Beat Up Civil Rights Leader! Plan of Action: Contact Morehouse College and Morehouse Police Department and demand that an act of police brutality perpetrated against civil rights icon Mukasa Dada (WIllie Ricks) be corrected and that he be compensated for his injuries. Purpose of Action: Rectify an act of politice brutality against Mukasa Dada, formerly named Willie Ricks, creator of the term “Black Power” and pioneering civil rights activist. 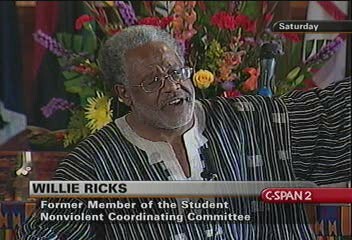 Morehouse police beat up Civil Rights Leader and Elder, Mukasa Dada former known as Willie Ricks of Student Nonviolent Coordinating Committee (SNCC), on Thursday, November 10, 2005 at Morehouse College. As a Field Secretary for SNCC and overall freedom fighter for Black people in general, we feel this attack by Morehouse Police is dishonorable, appallingly contradictory, and a slap in the face to all Black Leadership past, present, and future. Mukasa Dada’s history in the civil rights movement, Black power movement, and all Black progressive movements is impeccable. Not only did Mukasa Dada popularized the chant of “Black Power” but he is highly spoken of by other civil rights leaders.